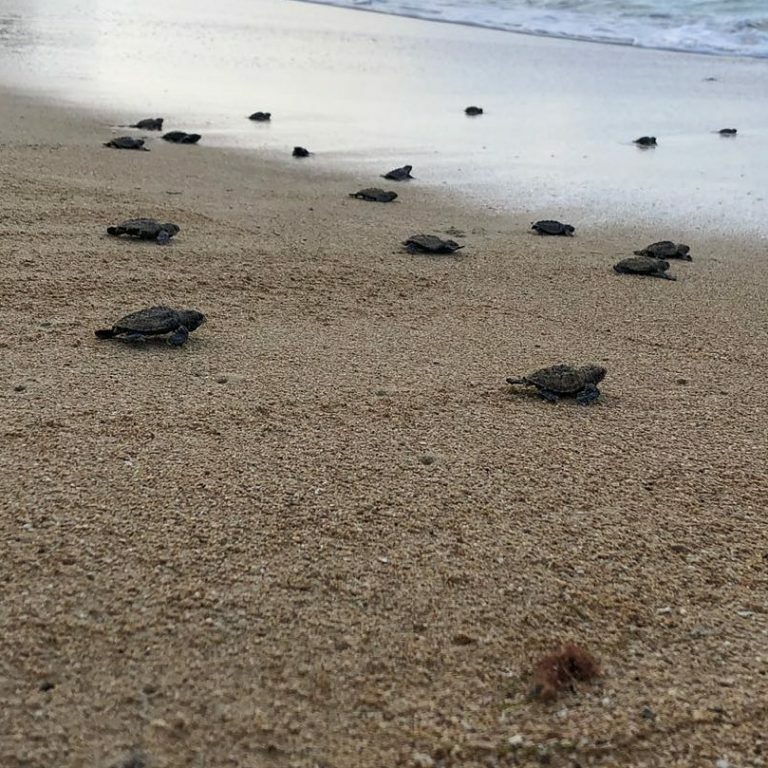 According to NEPA, sea turtles visit the shores of Jamaica all year to nest. However, the majority of the nesting activities occur during the period June to November each year. In December, most Jamaicans are eagerly awaiting the sounds of carols and the sights of Christmas lights. In St. Elizabeth the views are slightly different. Tis the season for turtle hatching. Here is a photo captured at local resort 77 West. This is the third hatching for the month. All species of sea turtle are protected under the Wild Life Protection Act, 1945 and the Endangered Species (Protection, Conservation and Regulation of Trade) Act, 2000. For more information, see NEPA tips to protect sea turtles and The Ecology and Conservation of Sea Turtles in Jamaica.